“Thy will be done,” is a prayer for all seasons. While walking the labyrinth I often reflect on the highs and lows of my life. Like Mary in this image, I ask God for the grace and courage to accept whatever comes. Cross your hands and arms over your chest. Look within. Rest in this state of being. No words are necessary. God understands what you are communicating–to yourself and to God. The coronation of Mary. 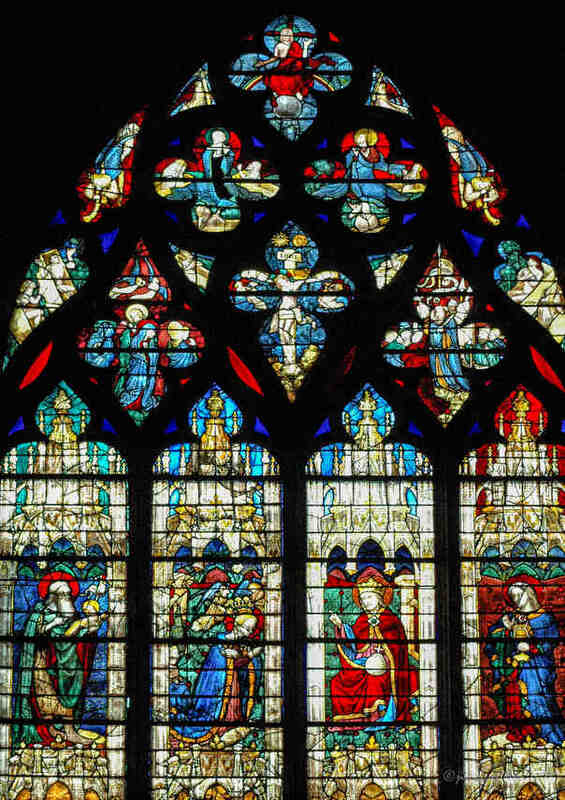 The Vendôme Chapel stained glass window (1415) in the Chartres Cathedral. This image is to the south and east of the labyrinth. The scene is found in the window that looks slightly to the right of the wooden pulpit in these images. Mary’s casket being carried by the disciples to its resting place. The death and glorification of Mary window. The entombment of Mary’s body by the disciples. 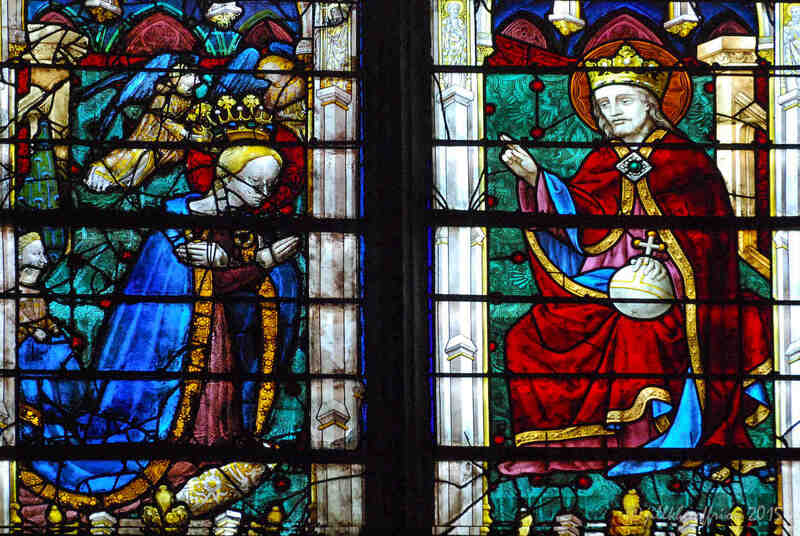 The death and glorification of Mary window. The assumption of Mary into Heaven. The death and glorification of Mary Window. The crowning of Mary. The death and glorification of Mary window.